Typhoon Chedeng has entered the Philippine Area of Responsibility (PAR). Browse this page for PAGASA updates as of Thursday, April 2, 2015. 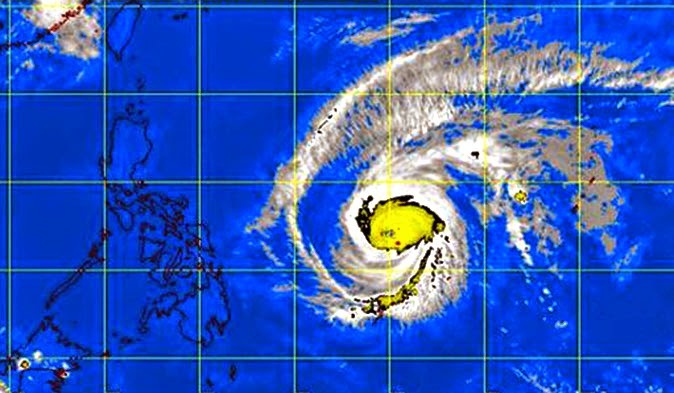 According to the severe weather bulletin issued by the Philippine Atmospheric, Geophysical and Astronomical Services Administration at 11:30 p.m., the center of Bagyong Chedeng was spotted 1,015 kilometers East Northeast of Guiuan, Eastern Samar or 1,040 km East of Borongan, Eastern Samar, packing maximum sustained winds of 180 kms per hour near the center and gusts of up to 215 kph. The typhoon is forecast to move West Northwest at 19 kph. State forecasters said the estimated rainfall amount is from heavy to at times intense within the 150 to 200 km radius of the typhoon. Within the next 18 hours, PAGASA said it will raise Public Storm Warning Signal #1 over Bicol and Samar Provinces. Sea travel over these areas will be possibly suspended. 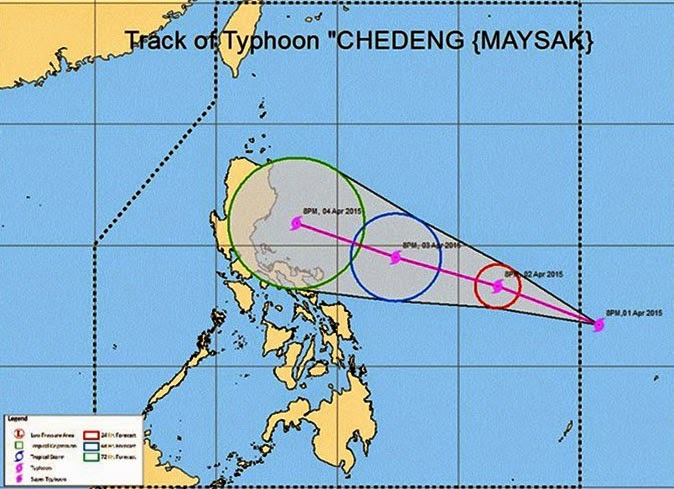 Typhoon Chedeng is estimated to make landfall over eastern coast of Aurora, Quezon or Isabela by late Saturday (April 4) to early Sunday (April 5), the weather bureau said. The public is alerted against possible flashfloods over low-lying areas and landslides along mountain slopes particularly over Aurora-Quezon area. Fisherfolks are advised not to venture out over the eastern seaboard of Bicol Region and of Visayas as storm surges and sea surface waves of up to 4 meters are possible over the eastern coast of Samar, Bicol and Aurora-Quezon, PAGASA added. Sign up with your email address to receive news and updates straight in your inbox.